Dutch self-taught artist born in Amsterdam 1940, formerly a teacher by profession. 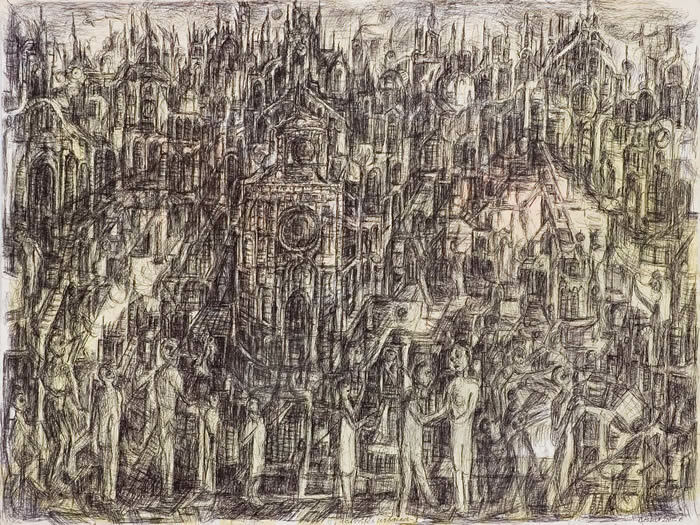 Since the early 90's he has been creating haunting and mysterious town and city scenes, often with Cathedral and church like structures dominating the composition. 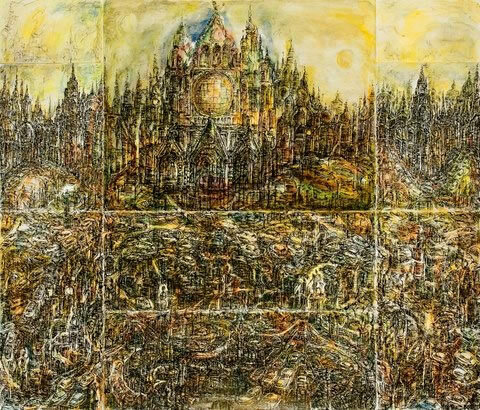 His work has been exhibited widely in Europe, and has been shown at INSITA and the Slovak National Gallery in 2010. His paintings have been acquired by collectors worldwide, and recently by the Museum of Everything in London. He is also represented in the Museum Art en Marche in Lapalisse, France, and has had several successful exhibitions at Galerie Hamer in the Netherlands. 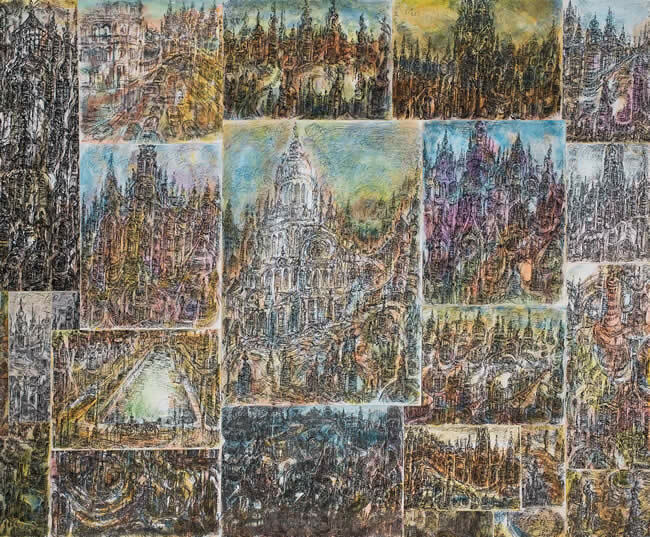 Henry Boxer has been exhibiting his paintings at the Outsider Art Fair in New York since 2007.